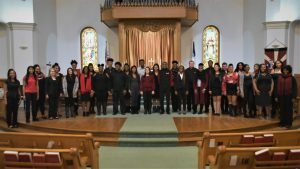 The Olivet College Gospel Choir will perform at the Greater Community Missionary Baptist Church (GCMBC) Saturday, April 6 at 5 p.m. The GCMBC is located at 16900 Puritan Ave., Detroit, Michigan. The concert is free and open to the public.